Using cover crops and improving soil health remained hot topics in 2018 and the trend is not fading. In fact, the go-getters have already seeded their cover crops. What’s stopping everyone else? Those who still need more information are invited to make plans now to attend a 2019 Conservation Cropping Seminar. RUSHVILLE, Ill. — John Sullivan will be director of the Illinois Department of Agriculture under governor-elect J.B. Pritzker’s administration. “For a while I’m sure it will be like drinking from a fire hose” getting up to speed on all that the Department of Agriculture does, Sullivan said. Thirty Illinois county Farm Bureaus have been awarded grants under the Nutrient Stewardship Grant program. For the fourth consecutive year, Illinois Farm Bureau has awarded the grants — totaling nearly $400,000 in the last four years — to help promote local nutrient stewardship, soil health, and water quality projects. 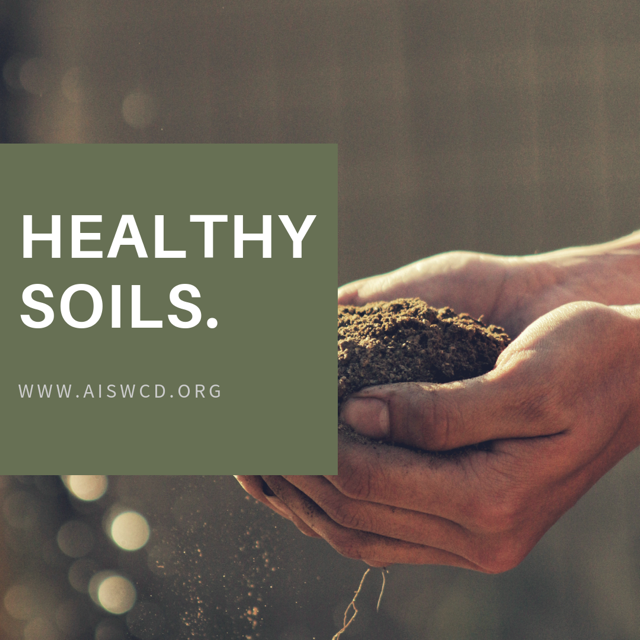 Among them in the Illinois Valley are the Soil and Water Conservation District in La Salle County, as well as Ag View FS. It’s likely that most motorists who travel along an open stretch of Kishwaukee Valley Road west of Woodstock never noticed a lonely stand of corn on the north side of the road just east of Dimmel Road. But on the morning of Nov. 27 – after the first significant snow storm of the season – they benefited from its presence. The 800-foot strip of corn stalks effectively stopped blowing snow from drifting across the road, creating safer travel for drivers on the protected section of rural Woodstock highway that is maintained by the McHenry County Division of Transportation. McHenry County’s first intentional living snow fence isn’t much to look at, but it represents several years of efforts and collaboration between the McHenry County Division of Transportation, McHenry County Farm Bureau and the McHenry-Lake County Soil and Water Conservation District. Concerns and benefits were addressed, legislation was changed, and this winter marks the first season of “fences” in the county. Highland city officials are lauding news of a $450,000 grant awarded to improve the city’s Silver Lake Watershed. The Illinois Environmental Protection Agency grant was awarded to HeartLands Conservancy and will fund installing projects that reduce water pollution in the watershed. 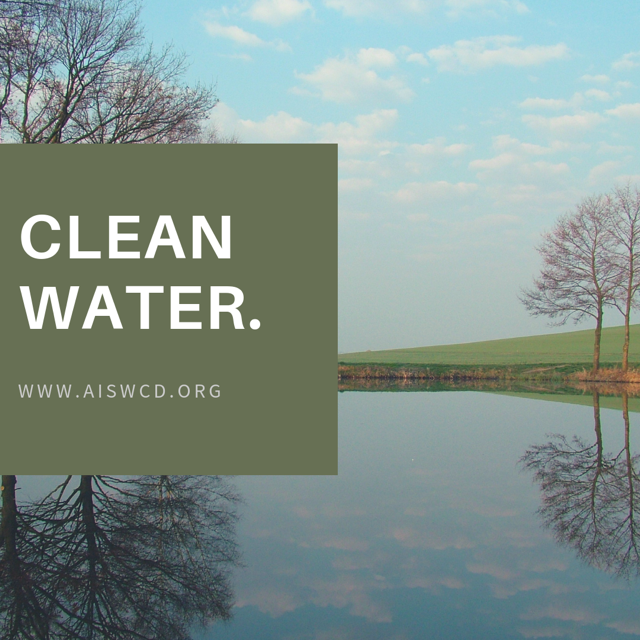 The funding is made available through the Clean Water Act and was made possible through the Highland Silver Lake Watershed Plan, which laid out a strategy for improving water quality at the lake. The plan was approved by the IEPA in 2011. The up-and-coming STAR program for rating conservation efforts on Illinois farmland recently got new backing from Decatur-based Archer Daniels Midland. As part of the AgWater Challenge that ADM signed on for in October, the company commits to have 25% of the farmers it sources grain from in the surrounding area earn a three-star rating under the STAR, or Saving Tomorrow’s Agriculture Resources, program by 2023. The statewide STAR survey is run by the Champaign County Soil and Water Conservation District. University of Illinois Extension, the Soil Health Partnership, and the Effingham and Fayette County Soil and Water Conservation Districts are partnering to present a Cover Crop Field day on Thursday, Nov. 1.The field day will begin at 9 a.m., with doors opening at 8:30 a.m., at the Carriage House Event Center located at 8 West Carriage Lane, Altamont. Lunch will be provided by the Effingham SWCD. After lunch, participants are invited to Stan Kuhns’ farm to tour a cover crop field and soil pit. The farm is located at 2471 N 200th Street, Mason,. The event will conclude by 3 p.m.
Monarch butterflies, honey bees and other pollinating insects have been declining at alarming rates. To create habitat and raise awareness, several organizations are teaming together to educate students about the importance of conservation. McDonough Co. Quail Forever, Eagle Point Solar and V.I.T Elementary School will be partnering to put on an educational conservation day for 140 local school children Oct. 12 at the V.I.T Elementary School, 1502 US-136, Table Grove. These organizations and partners will host two 2-hour long sessions with start times of 9 a.m. and 1 p.m. 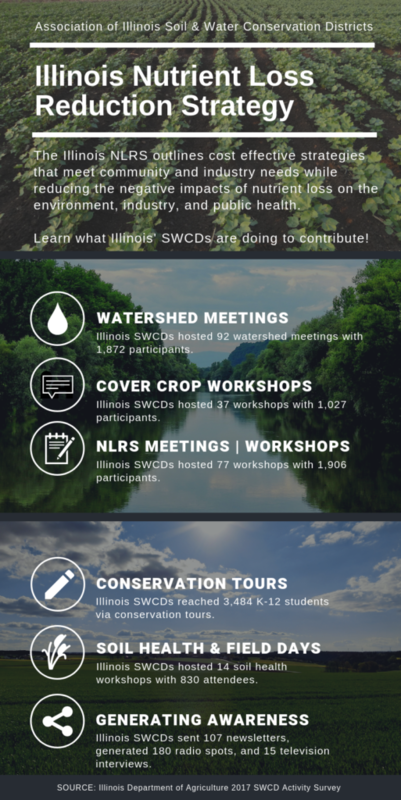 Along with learning about pollinators, students will also participate in conservation stations put on by the Fulton County Soil and Water Conservation District, Dickson Mounds and University of Illinois Extension. Christmas came in September, according to Jodie Wollnik, director of the Kane County’s Division of Environmental and Water Resources. The “gift” was a woodchip bioreactor built by Kane County Farm Bureau and several partners to treat tile water drained from county-owned farmland. “It’s new to us,” Wollnik said of the bioreactor. “We’re pretty excited. It’s like an early Christmas. Bioreactor technology was highlighted during a Sept. 12 field day hosted by the county Farm Bureau, county Forest Preserve District, county water resources division, the Kane-DuPage Soil and Water Conservation District and the Natural Resources Conservation Service. If a homeowner wants an energy-efficient washing machine, they can look for an Energy Star appliance. If a college wants to show that it’s newest building is “green,” it can be certified under the Leadership in Energy and Environmental Design, or LEED, program. But if a farmer wants to show that his or her field uses sustainable farming practices, there’s not a popular certification program to turn to. The Champaign County Soil & Water Conservation District is hoping to change that with the STAR program, which stands for Saving Tomorrow’s Agriculture Resources. The board of directors of the Kane-DuPage Soil & Water Conservation District recently decided to embark on a strategic planning process that will create a road map for their future. The effort will begin this fall and wrap up by the end of the year. The University of Illinois Extension Ag in the Classroom program started the new academic school year by teaching students where their favorite foods come from. Each week, ag reporter Ben Zigterman checks in with a local farmer. This week he interviewed Steve Stierwalt, who farms near Sadorus, about the Saving Tomorrow’s Agriculture Resources program to encourage sustainable farming methods. Read more via The News-Gazette. Five students from Benet Academy in Lisle recently represented Illinois at the National Envirothon in Pocatello, Idaho. The annual event is sponsored by the National Conservation Foundation and is hosted by a different state each year. LAKE IN THE HILLS, IL –The village of Lake in the Hills was awarded a grant that will help pay for streambank stabilization improvements along the Woods Creek streambank, which is experiencing severe erosion. The erosion causes silt and sediment build-up which decreases the channel depth and must be remedied by periodic channel dredging. The dredging typically costs $300,000 each time it is done, according to a news release. Read more via the Algonquin Patch. Read more via Prairie Farmer. Marshall-Putnam River Conservancy District, the Marshall-Putnam SWCD and the Marshall-Putnam U of I Extension office, held the annual Conservation Camp at Lake Thunderbird recently for 50 grade school aged kids. Ten volunteers and presenters offered a day of fun and learning about nature and conservation. Read more via News Tribune.